Viestiketju alueella 'Pelit, PC-pelaaminen ja pelikonsolit' , aloittaja Kaiser Soze, 25.05.2018. The PlayStation 4 is nearing the end of its life, says Sony. But that doesn't mean that PS5 is about to arrive. New CEO John Kodera has said that the console is entering the "final phase" of its life. While we can't be sure exactly when the PS5 will be revealed or even announced, we know that a PlayStation 5 will be coming at some point. Sony's President and CEO, Shawn Layden, confirmed as much in an interview with Golem.de. PS5: what's the latest PlayStation 5 news and when will Sony release it? PS5 release date: How soon will we see Sony's next console? As we enter the fifth year of the PlayStation 4's lifecycle, our minds can't help but turn to the PS5. Now, at time of writing, Sony hasn't confirmed it's working on a PlayStation 5 which means that even though we'd love to be able to say we know there's a PS5 release date announcement coming soon, we just can't. It's actually quite difficult to guess when exactly we might get our first look at the PlayStation 5, but we reckon it's safe to assume it'll be a couple of years away yet. But don't despair. While we can't be sure exactly when the PS5 will be revealed or even announced, we know that a PlayStation 5 will be coming at some point. Sony's President and CEO, Shawn Layden, confirmed as much in an interview with Golem.de. Sure, he said it wouldn't be any time soon. But that's better than not coming at all! [Update: PlayStation's John Kodera has been discussing the future of the PS4 at Sony's Corporate Strategy Meeting and, by extension, inadvertently creating space for prospective PS5 release year rumors. During the meeting, Kodera made it clear that Sony is still very much behind the console but warned that sales are expected to slow this year, in line with expectations as market saturation approaches. As a console gets to this point in its lifecycle, it's natural to start looking forward to the next iteration. Although we're hideously impatient for news of a PlayStation 5, we can't fault Sony for looking before it takes the leap into the next generation of consoles. After all, the PS4 Pro is still relatively new to the market and its direct competitor, the Microsoft's Xbox One X, is an even more recent release. However, industry insider Jez Corden and a recent Microsoft job listing have hinted that Microsoft is already thinking about the next Xbox. That means it's highly unlikely that Sony isn't currently doing the same and is, perhaps, even further along in the process. By introducing greater power and 4K capabilities to the market, mid-generation upgrades such as the PS4 Pro and Xbox One X have extended the lifespan of the current generation significantly. If we're honest, we can't really see any urgent need to start a new generation right now. And given Microsoft's growing commitment to backwards compatibility, we think it's key for Sony to really think about its next steps. We imagine it'll be another couple of years at least before a PlayStation 5 is necessary, or even wanted, and recent rumors have suggested that's when it'll arrive. The case for the PlayStation 5 also boils down to simple economics: it’s well documented that the longer a console can persist on the high-street shelves, the more profitable it becomes over time, as economies of scale reduce manufacturing costs, while a large install base means publishers can sell more copies of their latest games. And as you might expect, the PlayStation 4 is still selling extremely well. Although numbers are, understandably, slowing, there are still plenty of fantastic games for the console to come. We know what you're thinking. What does that mean for the PS5? Will Sony's fifth console ever launch? What would it do differently? What can it do differently? Right now, we don't have all the answers. But instead of twiddling our thumbs and waiting for Sony to surprise us with the next system, we've done some digging to get to the bottom of the mystery that's kept us up at night: what is the PS5 and when is it coming out? With no official word from Sony, it's difficult to know exactly when we might get to see a PS5, so all we have for the moment is the guesswork of industry analysts to go on. Analysts are predicting we could see the PlayStation 5 as soon as 2018 but the most likely outcome is 2019 or 2020. In an interview with the Wall Street Journal,analyst Damian Thong (who previously predicted the PS4 Pro and Slim) suggested that the console would arrive in the latter half of 2018. Though this release seems very early, it's supported by a report in SemiAcccurate which claims that the number of developer kits handed out points to plans for a 2018 release. Another analyst, however, believes we'll have to wait a little longer. 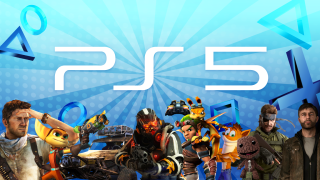 Speaking to GamingBolt, Michael Pachter said that though he thinks the PS5 will be a half step and will be backwards compatible with the PS4 Pro he doesn't think we'll see it until "2019 or 2020 but probably 2019." This slightly later release, he says, would make more sense as it would fall in line with predictions for when the 4K TV market in the US will reach 50%. "I think Sony has probably got the next console cycle lined up already", he says, "I think they already know what they've got to do." A recent report from Kotaku's Jason Schreier backs up this thinking. He spoke to a number of developers about likely release dates with most of the conversations pointing to a 2020 release. He writes: "There is information about the PlayStation 5 floating around at both first- and third-party companies, but it’s far more limited than it would be if the console’s release was imminent." Without any official PS5 announcement from Sony, solid news is pretty thin on the ground at the moment. But, as always, we do have rumors and we've collected and assessed them right here. We can now be absolutely sure that the PlayStation 5 won't appear at E3 2018during Sony's conference. During his recent appearance on PlayStation Blogcast, Sony's Shawn Layden firmly said that there will be no new hardware announcements from the company at the show. Instead, PlayStation is trying to refresh its approach this year and will be offering deep dives into four of its biggest upcoming games: Death Stranding, Spider-Man, The Last of Us 2 and Ghost of Tsushima. A recent report from Eurogamer has attempted to narrow down a possible release date based on when technologies advanced enough to justify a generational leap will be available to Sony. The most important things that will need to advance will be the console's processor and its memory and in both cases, Eurogamer has determined that we're unlikely to see a new console released before the very end of 2019. Even if Sony did manage to push its console out at this date, the cost of production would make the PS5 far too expensive, making it more likely that we won't see the console released until the end of 2020 if Sony has any intention of making it an appealing proposition. Former Sony chief, Andrew House, has been speaking about what the next generation of consoles could look like at the GamesBeat conference recently. Though House refused to comment specifically on the PlayStation 5 itself, he did say that he believes physical discs will stick around for a while yet as a result of the need to continue tapping into developing markets where downloadable titles may not be quite as compatible with limited internet infrastructure. House also stated that he thinks the PS4 and the PS4 Pro still have a long life in them yet. This doesn't necessarily cancel out the rumors that the PS5 will be with us in the next one to two years; if the reports that the console will be backwards compatible are true then the PS4 generation will remain relevant long into the lifecycle of the PS5. Regardless, given that House was unwilling to comment on the PS5 despite being pushed, these details can only be considered speculation at the moment. SemiAccurate (via ResetEra) is claiming that it's received some leaked information on the yet-to-be-announced console and says that the number of dev kits which have been distributed suggests the console could be released in 2018. In addition to this, SemiAccurate also reports that Sony will use this console to push its VR efforts even further, with VR-tech baked in at the Silicon level, and will sport a GPU based on AMD's Navi architecture with a CPU that's potentially a custom item from AMD's Zen line. Though SemiAcccurate has a decent track record with its reports, having accurately reported Nintendo's Nvidia partnership for the Switch and the PS4 specs back in 2012, we still say take this with a pinch of salt. Though the specs sound plausible, a 2018 release date doesn't. Regardless of how many developer kits that Sony has distributed, it feels to soon after the release of the PS4 Pro for the next PlayStation console. Besides that, now that we're four months into the year it doesn't feel like there's sufficient build-up time to the introduction of a new console generation. The PlayStation 5 would have to already be in manufacturing for a 2018 release date to be possible and we're pretty sure we'd have heard something about that by now. However, Sellars didn't provide any evidence to back up his claims so they really can't be taken as anything more than rumor at the moment. Something which may be interesting in relation to this, though, is that recently CD Projekt Red revealed that their upcoming title Cyberpunk 2077 was being developed for current and next generation consoles which came as a great surprise to many. Whether this means they're one of the third-party developers at work with these rumored kits is yet to be seen. Even if development kits are in the hands of developers, this doesn't mean the PS5 is coming any time soon. It could still be another couple of years before any kind of reveal. Something that does help Sellars case is a recently updated patent for backwards compatibility that's been filed by Sony. Originally filed in 2015, the patent was updated in February to say “Backward compatibility testing of software in a mode that disrupts timing.” This is no guarantee that Sony is actually working on the technology for the PS5 (it could be creating an entirely separate peripheral that makes backwards compatibility possible) but it's not impossible that this could be for a new generation console. Though there's been no official word from Sony on the development of a PlayStation 5 just yet, a recent announcement in relation to the PlayStation Plus service has ignited some speculation. It's been announced that from March 2019, PS Plus will no longer offer free PS3 or PSVita games and will instead focus on PS4 titles. This has led to some wondering over whether or not Sony is attempting to phase out these older generation titles in preparation for a new generation. This is, of course, pure speculation but it's interesting that Sony would be willing to reduce its game offering to only two games (as it informed Polygon) without any other excuse than wishing to focus on titles for an already highly successful console. Whether Sony is truly making way for the PS5 or whether it's going to offer a higher quality of PS4 game is unclear and it seems we'll have to wait a while to find out what the final plan for PS Plus is. During GDC, we got a glimpse of what the next generation of games might look like and it's left us extremely excited for the PS5. When Libreri tells us we'll see hardware that can support this technology "pretty shortly" we can't be sure, but we like to think she's talking about the yet-to-be-announced PS5. And if a PlayStation VR 2 headset could be sold without an external black box, it should be markedly cheaper, further accelerating VR’s march into the mainstream. A recent report from SemiAcccurate which claims that the PS5 will have virtual reality capabilities built-in at silicon level suggests this will indeed be the case. It seems certain that PlayStation is very keen to hear what its community thinks. Very recently a group called PlayStation Voice sent out surveys to members of its closed community asking them what their expectations of the PS5 are. One community member posted the email they received and found themselves removed from the group for breaking its non-disclosure agreements. According to PSU PlayStation Voice is a community run by third-party consumer insight agency, Join the Dots. Once information has been gathered, it's fed back to clients, the client in this case presumably being Sony PlayStation. Admittedly, this doesn't tell us much about PS5 itself, other than that things are likely to be still in the very early stages. While it's unlikely that Sony would use the information gathered from its communities to decide exactly which features will be included in the console, the ideas of fans can certainly spark a good deal of inspiration. “Consoles and disc drives probably stay around for a long period of time [...] I think it's the consumer deciding what's the easiest way for them to buy a game. So perhaps 2020 might be the year in which Sony unleashes the PS5 on the world, as the first native 4K console with wireless VR ... as long as Microsoft doesn’t get there first. If the backwards compatibility patent mentioned above is true, we can expect to see our whole PS4 library available to play on the PS5. Or perhaps we'll see another round of remasters as we did when moving from the PS3 to the PS4. However, we imagine there will be some games being developed specifically for this new console generation and the power it's likely to offer. Already we've seen CD Projekt Red mention that it's developing for this generation as well as the next and alongside the rumors that there are already developers kits out in the open, we think there's a good chance that Cyberpunk 2077 will be one of the early PS5 titles. Sony ja AMD puuhailee tällä hetkellä Ryzen teknologian kanssa että varmaan CPU puolessa ei valittamista seuraavassa genissä. Myrkkysika, sellu, Fozyzy ja 5 muuta tykkäävät tästä. Ai vähän kuin nyt jos päivittäisi näyttiksen PC:lle niin ostaisi kerralla semmoisen että ei tarvisi muutamaan vuoteen pudottaa detaileja? Se ei ole siis mahdollista varsinkin kun puhutaan 399e laitteesta. Kukaan ei voi valittaa, kun kaikille on omalle maksukyvylle sopiva laite ja kuuminta hottia haluaville ainakin hetken ajantasainen laite. Halpislaitteelle sitten vain ulkoisesti nerfatut versiot peleistä. En ylipäätään ymmärrä, miksi konsolin tulisi olla joku kaikkien perusoikeus, mihin voi melkeinpä hakea sosssusta rahaa. Sehän on "ylellisyystuote", eikä mikään elämiseen tarvittava välttämättömyys. Omassa lapsuudessa kaikilla ei todellakaan ollut Ataria, C64:sta, NESiä tai myöhemmin Amigaa. Jos tuo on tulossa vasta 2021, niin siitä vain laittamaan joka kuukausi 10€ possuun. Siinä on jo pesämuna valmiina kun julkaistaan. masatin_, Myrkkysika, KooVee ja 4 muuta tykkäävät tästä. En tiedä, pitäisikö tämä viesti ottaa vakavasti vai ei, koska tehojen puolesta tuo saattaisi varmaan ollakin aika pitkälti mahdollista, mutta käytännössä odotan ainakin itse, että paukut pistetään 4K:hon, mikä ei taatusti ainakaan auta ruudunpäivitysnopeuden kanssa. PS4 pro 4k - todellisuus skaalattu 4k tai 1080p melkein 60 fps. PS5 8k - todellisuus nyt onnistuu 1080p60 tasasesti. 4k sitten varmaan se max 30 fps. Himmler ja Kaiser Soze tykkäävät tästä. Kodera varmaankin viittaa "crouch downilla" sukupolvenvaihdoksesta johtuviin voittojen vähentymisiin, kuten allaolevasta voimme nähdä. Markkinointi ja uuden raudan puskeminen tuotantoon vie paljon kuluja ja myynnit ovat yleensä vähäisempiä ekana vuonna uudessa sukupolvessa. Koska Kodera arvioi, että 2021 alkavat päästä taas hyvin leiville, niin olettaisin, että PS5 julkaistaan 2020 noihin aikaisempiin voitto-/tappio-osuuksiin verraten. Suunnitelmana ehkäpä, että kärsitään 2020 julkaisuun asti pienempiä voittoja markkinoinnin ja tuotantokustannuksien vuoksi, ja 2021 alkaa olla tuotanto hyvässä vauhdissa ja konsoleita myynnissä ympäri maailmaa. PS1 julkaistiin 1994/95, PS2 2000, PS3 2006/07, PS4 2013/14, ja jokaisen julkaisun aikaan voitot ovat kärsineet. Toki PS3:lla tappiot jatkuivat pitkään kalliin raudan vuoksi. Koska PS4:lle tehdään varmasti pitkään isoimpia moninpelejä, niin PS Plussasta saatavat tuotot todennäköisesti onnistuvat pitämään toiminnan voiton puolella ja toki kaikki digitaaliset ostokset PS Storessa. CPU tulee olemaan joku mobiililastu aivan varmasti, toki paljon tehokkaampi kuin nykyinen mutta turha unelmoida jostain PC:n työpöytäprossujen tehoista. Onhan Sonylla ja Microsoftilla tässä aikaa kehittää konsolia..Luulen että molemmilta tulee uutta rautaa 2021 joulumarkkinoilla..Microsoftin toivon pysyvän Xbox One nimessä ja kehittävän vaan tehokkaamman uuden version, niin voi edelleen pelata koko Xbox kirjastoa jo 2000 luvun alusta tähän päivään..Sonylta tähän en usko, vaan hiteistä ostetaan taas uudet versio PS5:lle..
Microsoftin toivon pysyvän Xbox One nimessä ja kehittävän vaan tehokkaamman uuden version, niin voi edelleen pelata koko Xbox kirjastoa jo 2000 luvun alusta tähän päivään..
Mitä sillä konsolin nimellä on arkkitehtuurin kanssa tekemistä? Eiköhän MS pysy x86 arkkitehtuurissa, nimestä riippumatta. Mutta onko se raudan vika jos pelinkehittäjä julkaisee pelin joka ei pyöri kunnolla? On tässä itselläkin pistetty pari kiloa koneeseen rahaa ja jotkut pelit tökkii välillä jopa 1080p resolla. Eikö peeseeni siis kykene edes 1080p pelaamiseen? Onhan vanhoille PS3 ja Xbox360 koneille jo ihan mukavan näköisiä 1080p60fps pelejä ja PS4 generaatiolle oikein reilusti. Uusimmilla iteraatioilla jo parhaimmat pelit pyörii 4k30 tai 4k60 joka on jo ihan ok tuollaisilta ~400e laatikoilta. Tottakai sehän sanomattakin selvää. Näissä bokseissahan on yleisesti lämpökuorma 100W molemmin puolin. Tuohon kuormaan lasketaan koko laitteiston lämmöntuotto. Ei konsoli mikään perusoikeus ole, mutta ei ihmiset niitä 700e hinnalla ala ostamaan. Pitäiskö tää vai XBoxi sit GTA pelailuun hommata? Onhan noita kalliimpiakin laitteita ollut. Mm Xbox. Ja tappiollahan näitä usein myydään jotta päästää rahastamaan ylihintaisilla peleillä ja nettipalveluilla. Jokainen voi miettiä miksi Pleikkari maksaa 299€ ja pelit kympin tai pari enemmän kuin tietokoneella..
Ei toi 60 FPS taida olla mikään prioriteetti konsoleilla. Sitä eroa yksinkertaisesti huomaa paljon vähemmän olohuoneympäristössä. Kyllä pelit näyttää hienommalta maksimaalisilla grafiikoilla. Turha odottaa muuta, kuin sitä samaa paskaa kuin ennenkin. Tulee jo julkaisussa tehoiltaan liian mopo laatikko. Tälle sitten tulee rampautettuja arcade-pelejä ylikalliilla hinnalla. Tämä on toistunut jokaisen konsolin kohdalla, ja tulee aina toistumaan. Käsittämätöntä, että joku pitää esim. 700 eur hintaa kalliina pelikonsolille. Olisi mahtavaa saada joku 1000 euron tehokonsoli, ne joita ei kiinnosta satsata pelaamiseensa, voisivat pelata jollain Nintendolla. Mutta ei tule tapahtumaan. Kunnon pelit jatkossakin PC:llä, noilla mopolaatikoilla voi fifat ja änärit pelata toki. dea, -SD- ja Fozyzy tykkäävät tästä. Ymmärrät kai että 98% maailman väestöstä 1000 euroa on mieletön hinta käytännössä lelusta? Eiköhän uuden konsolin hinta alkuun tule olemaan 400-500e. Toivottavasti tällä kertaa mukana on tuki 4k blueray elokuville. Ja kannattaa ottaa huomioon myös se et kunnon pelit julkaistaan konsolille 1-2v konsolin julkaisusta. Ei mitään kiirettä vielä alkaa ps4 kuoppaamaan . Veikkaan, että tonnin pleikkari ei ainakaan konsolimyyntiennätyksiä hätyyttelisi. Kyllähän se on selvää, että yli 700 euron hinta karsii valtavan joukon ostajia. Toki suurimmassa osassa Euroopan maita ja Pohjois-Amerikassa tuo ei ole mikään kynnys. Usein noilla on pelaamiseen jo kunnon PC, joten kannattavampaa on tyytyä hakemaan laajempaa asiakaskuntaa niiltä joille riittää heikompi pelikokemus ja niukempi budjetti. Kalliilla konsolilla toki saisi VR:t yms toimimaan ihan eri lailla kuin nyt. Kyllä 700e hinta rajoittaisi myyntiä euroopassakin. Pelit tekevät pelikokemuksen, ei grafiikka. Barca11910, Himmler, The Oath ja 3 muuta tykkäävät tästä. Sitten kun/jos Gravity Rush 3 julkistetaan, niin lähtee uusi Pleikkari silloin ostoon. God of War remaster -hype! Ekalle myyntiviikolle tuo ja Bloodborne remaster niin kaupat tulee ja heti. Näkeehän tuon että xbox one x 499e hinta on jo liikaa. Pölyttyvät hyllyllä ellei saada äkkiä hintaa samalle tasolla kilpailijan kanssa. Tuhannen euron konsoleista puhumattakaan. 2021 kuulostaa kyllä ihan hyvältä julkaisuajankohdalta. Alkuperäiset huhut 2018/2019 olivat turhan aikaisin. Tai ainakin omalla kohdalla olisi jäänyt hankkimatta, kun vasta vuosi sitten tuli PS4 Pro taloon. Hinta toivottavasti pyörii siinä 400-500€ tuntumassa. Enempää en itse viitsi ainakaan maksaa, kun käyttö on kuitenkin vähäistä ja suurin osa peleistä tulee pelattua PC:llä. Toki en pahitteeksi panisi vaikka alussa julkaistaisiin halvempi perusmalli ja kalliimpi tehomalli, kuten PS4 slim & pron kanssa. Kynnyskään tuollaiseen kahden eritehoisen julkaisuun ei ole enää nii suuri, kun se on kerran jo tehty. Joku 400e perusversiosta ja 500-600€ Pro versiosta kuulostaisi hyvältä. Nuo tonnin konsolit olisivat aivan järkyttävä floppi. Eiköhän Sonykin ole todennut PS4:n hintamallin olleen aika toimiva jo verrattuna vaikkapa siihen kalliiseen (julkkari) PS3:seen. En ihmettelis vaikka ei olisi levyasemaa ollenkaan mukana vuonna 2021. Xboxin kohdalla... ehkä, koska päämarkkinat ovat Yhdysvallat ja siellä digitaalisen osuus on suurempi kuin muualla, mutta PS5:ssä tulee todennäköisesti olemaan levyasema, sillä maailmanlaajuisesti ei olla vielä valmiita siirtymään 100% digitaaliseen noihin aikoihin. Arvioisin, että uusien fyysisten pelien osuus PS4:llä tulee olemaan vielä ~40-50% paikkeilla PS5:n julkaisun aikaan vuosittaista trendiä seuraten (tällä hetkellä ~70%), joten täysin digitaaliseen siirtyminen olisi aika iso pyyntö asiakkailta, kun Sony on pyrkinyt laajentamaan maailmanlaajuista asemaansa. Kaikki tietenkin riippuu siitä, kuinka merkittävänä Sony pitää niitä markkina-alueita, jotka eivät ole valmiita täysin digitaaliseen siirtymiseen. Itselleni olisi ok siirtyä digitaaliseen (ja suurimmaksi osaksi olenkin jo), mutta pidän tuota epätodennäköisenä. Voihan se olla näinkin mutta saattaa olla vielä tuolloinkin hieman liian aikaista joillekin markkina-alueille, kuten ylläkin pohdittiin. Jos noin kävisi niin harmillista tuossa olisi toki se, että digitaalisten pelien hinnoittelu tuppaa usein olemaan yläkanttiin verrattuna fyysisiin kopioihin. Lisäksi sitten jälleenmyytävyys. Jos digitaaliset pelit olisivat halvempia kuin fyysiset, kuten imo pitäisi olla, niin olisin itsekin täysin valmis siirtymään kokonaan digitaalisiin. Olin epätarkka. Tarkoitin, että ei ole mikään taloudellinen kynnys niille, jotka pelaavat aktiivisesti. Ja grafiikasta en puhunut. Konsolin suurin rajoite itselleni on pelien puute, suurin osa omista pelattavistani on julkaistu vain PC:lle. Siihen vielä vajaat ohjainmahdollisuudet, tehovaje ja äänekkyys ym. Pelikokemusta ei saa, ja jos saa niin se on usein heikko. Toivottavasti on taaksepäin yhteensopiva PS4-pelien kanssa. Loppuu tv-hyllystä tila jos siellä pitää säilyttää kaikki edeltävätkin konsolit. Pelaa sitten pc:llä jos konsolissa on kaikki huonoa. Eiköhän pelikonekansalle se suurinpiirtein 400 euron hinta ole sopiva eikä siellä samalla tavalla vaadita tai tarvita pauhua kuin 2000 euron kompuutterimiesten nupissa. Veikkaan edelleen, että vaikka kuinka aktiivista olisi pelaaminen niin kyllä se 700 euronkin hintalappu pelikonsolissa saisi monella ahdistuksen mahan pohjalle. Jep. Ei tuollaisessa kalliissa konsolissa ole mitään järkeä. Konsolipelaamisen yksi ideakin on saada kohtuu halvalla hyvä pelikone. Toki eihän tuo haittaisi vaikka jatkettaisiin peruskoneen ja Pro-mallin trendiä näissä jatkokoneissa. Eli hieman kalliimpaa Pro-mallia sille HC-ryhmälle, joka haluaa maksaa lisätehoista ja pelien karkeista/fps-lukemista. Sitten taas perusmalli valtaväelle. Perusmallille vaikka minimitavoitteeksi 4K@30fps ja Pro-mallille sitten 4K@60fps (en tiedä onko realistinen tavoite vuodelle 2021). 60fps on hyvin realistinen odotus, CPU loikka on huomattava tuhnu jaggesta. Natiivi 4k möyhötys vähän turhaa, cbr4k on aivan riittävä ja säästyneet tehot voi käyttää järkevämpään kuten silmäkarkkiin. Veikkaan edelleen 2019 joulumarkkinoille saapumista. Varmasti nähdään useammissa peleissä 60fps kuin tässä genissä. Avoimen maailman pelit pysynevät 30fps, koska tehoja varmaan käytetään maailmojen elävöittämiseen. Ajopelit toki tärkeitä saada 60fps. Toki eipä haittaisi bäfän tms tyyliset myös konsoilla 60fps. Mutta niinhän teenkin, pelaan lähes kaiken PC:llä, koska minulla on sellainen pelimaku. Jotain änäriä ja Fifaahan sitä tuli konsolilla aikoinaan hakattua, niitähän ei PC:lle saa. Toki varmaan pelaisin enemmän konsolilla, jos ominaisuudet ja pelit olisivat erilaisia. Ja ei siinä kaikki ole huonoa, enkä sellaista väitä. Jonnekin mökille on helpompi roudata PS4 kuin teho-PC. On se vaan nyt niin, tämän vuoden huhtikuussa ollaan jenkkimyynneistä edelleen reilusti jäljessä vuoden 2015 "huippuja" Mikkiksen konsolien osalta. 20k myytyä konsolia kuukaudessa isoimmalla markkina-alueellaan on nyt lähinnä surkuhupaisa suoritus. Mitä nyt tuohon PS5 tulee, niin ennustaisin 2020 julkaisua. Taaksepäinyhteensopivuus on kyllä löydyttävä konsolista suoraan, muuten Xbox kiittää ja kuittaa omilla ratkaisuillaan. Löytyyhän pleikkarille muitakin pelejä mitä ei pc:lle saa, riippuu tietysti mausta. Hinta/laatu on parenpi konsolilla olkkaripelailussa. Juu, eipä tämä omalla kohdalla pidä paikkaansa. Ennemmin pelaisin Xbox One X:llä kuin PS4 Pro:lla, mikäli pelitarjonta olisi edes lähelläkään kilpailukykyinen. Lähes kaikki Xboxin yksinoikeudet on pelattavissa myös PC:llä, ja ne jotka eivät ole ei yksinkertaisesti riitä itselle ostohousujen jalkaan laittamiseen. Vaikea nimetä yhtäkään kiinnostaa täysin yksinoikeutta XBonelle. Tehokkaampi vehje tuo X on kuin Pro, se on selvä. Ja samasta syystä pelikokemuskin olisi varmaan sillä mukavampi, kun on korkeampaa resoa ja FPS:ää tarjolla. Eiköhän tämä ole aika selkeä, koska raudan puolesta mennään samalla tekniikalla, joskin tehokkaammalla. Samaa mieltä..Xbox One X paljon miellyttävämpi laite pelata, kun ei huuda kuin pölynimuri pelatessa, kuten PS4 Pro, joka tuli taas todistettua viime viikonloppuna Detroit become humania pelatessa..Sonylla loistavat yksinoikeudet ja sen takia myös Pro pitää hyllyssä olla..Mutta, kaikki multiplattarit tulee pelattua X:llä..
No toki voi vaikuttaa myös se että Xboxille ei oikein ole sellaista sisältöä joka pakottaisi ostamaan konsolin. Tilanne voisi olla eri jos yhdistettäisiin 499e hinta ja Sonyn exclusive content alustalle. Tilanne olis eri, toki perus Xbox One S myy ihan hyvin, osittain halvan hinnan takia ja jotkut ostaa sen varmasti myös pelkäksi 4k Bluray soittimeksi (se kun jopa siihen kykenee toisinkuin PS4 tai Pro...). Yksinoikeudet niitä konsoleita myy, ei se että kumpi on tehokkaampi ja kummalla pyörii pelit paremmin. Toki jos tilanne olis suht koht tasanen yksinoikeuksien kannalta (toki jokaisen oma maku vaikuttaa tähän), niin ite ainakin ottaisin sen millä ne pelit pyörii jouhevammin. Mutta kun ei ole, ei lähelläkään. PS4 on nykyhetkellä sellaisessa tilanteessa pelien suhteen, ettei Microsoftilla edes ole mahdollisuuksiakaan voittaa enää nykysukupolvessa. Hämmästyttävän moni PS4 yksinoikeus on takonut hyviä arvosanaja pitkin maailmaa (God of War, Persona 5, Horizon Zero Dawn, Uncharted 4, Bloodborne, Shadow of the Colossus, Yakuzat) Toki joukkoon mahtuu muutama keskinkertainenkin teos ja ehkä hutikin (inFamous Second Son, Killzone Shadow Fall, Knack, Last Guardian, Order 1886), mutta yleisesti katsottuna homma näyttää huomattavasti paremmalta kuin Xboxin puolella, missä taitaa oikeastaan vain Halot, Forzat, Quantum Break, Gears of War 4 ja varauksella Sea of Thieves olla mainitsemisen arvoisia AAA-pelejä, ehkäpä jopa ainoitakin. Indiepuolella sitten löytyy Cupheadia ja Ori and the Blind Forestia ja onhan konsolilla PUBGikin (jota ei muuten muulla vehkeellä kuin X:llä pelatakkaan, normikonsoli tekee kuolemaa tuossa pelissä). Josta sitten päästäänkin seuraavaan ongelmaan, eli siihen faktaan että nuista mainituista peleistä KAIKKI paitsi Halot on pelattavissa PC:llä. Toki osa Forzista puuttuu, mutta muuten oman tiedon mukaan kaikki löytyy joko Steamista tai Microsoftin omasta storesta. Toki omasta mielestä on hyvä asia että Microsoft on tuonut yksinoikeuksiaan laajemmin saataville, mutta jokainen kyllä tajuaa sen, että samalla se oli taas yks naula lisää Onen arkkuun. Jos pitäisi valita vain kaksi alustaa saatavilla olevista (PS4, One, Switch ja PC), niin oma valinta olisi ehdottomasti PS4 ja PC. En vaan näe mitään järkeä ostaa Xbox Onea, ellei käytettävissä ole hyvin rajattu budjetti tai omaa jonkinlaista vihaa PC:tä tai Sonya kohtaan. Mielenkiintoista on kuitenkin nähdä molempien firmojen seuraava konsoli. Katselin tämän hetken AMD roadmapit läpi ja jos oletettu PS5 julkaisu on 2021 niin voidaan vahvasti olettaa että sisältä tulee löytymään APU jossa Zen2 pohjautuvat coret ja Navi GPU arkkitehtuurin GPU lastu. Tämä sen vuoksi että 2019/Q4 on tähtäimessä APU näillä spekseillä ja AMD:n tuntien tuo on paperi launchi. 2020/H2 todellinen julkaisu ja tuotannon maturointi laajamittaiseen konsolituotantoon yksi halffi vähintään niin saadaan 2021 tuo rauta sisään. Zen3 ja seuraavan sukupolven GPU design ready on suunniteltu 2020 eli ei mitään toivoa että konsolissa 2021 tulisi olemaan low power APUa näillä spekseillä. Tai en ainakaan usko että AMD siihen kykenee. CPU puoleen tulee siis oletettavasti yhden magnitudin parannus suorituskykyyn. GPU tulee olemaan helposti kolme-neljä kertaa tehokkaampi. e: toki Sony voi panostaa 299$ luokkaan ja tilaa AMD:lta Zen+ coreilla APUn jossa maltillinen Vega 8TFlops chippi mukana höystettynä armadalla laatu excluja ja kone lentää hyllyiltä. Himmler, hänk_ ja Ventura tykkäävät tästä. En usko että menee 2021 asti. Veikkaan joulua 2019, viimeistään jouluna 2020. Sen verran kauan on kuitenkin PS4 jo markkinoilla ollut.